Wholesale & Distribution KPIs to start tracking right now. As a distribution or wholesale company, there are probably a number of Key Performance Indicators (KPIs) that you’re keeping a close eye on. With so many moving parts, you can’t really afford not to. But the best-of-breed companies always seems to do things a little differently, and that includes the wholesale and distribution KPIs they track. If your goals are to increase revenue, grow customer loyalty, and increase retention of valuable customers, then you should probably be thinking about two very specific distribution KPIs. And I’m fairly certain you aren’t already measuring yourself against these two. By measuring lost sales as one of your wholesale and distribution KPIs, you can start to devise a strategy for clawing back potentially lost revenue. I don’t know a single business that doesn’t track the number and value of sales they’ve made every day, week, month, quarter, and year. But are you tracking the sales you could have made, but lost? Sure analysing Lost Sales can stress out your sales reps – but if they’re leaving money on the table, wouldn’t you want to know why? By diving deep in to your Lost Sales data, you could uncover a few kinks in your sales process that could be worth fixing. Are quotes not being followed up? 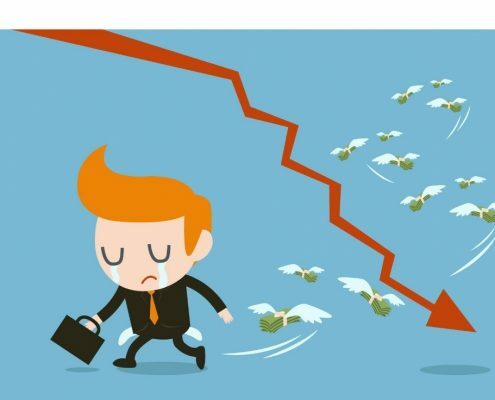 Is a certain sales rep losing out on more sales than the others? Is a particular region or office performing badly? In one instance, I met a prospect who was losing out on up to $24 million annually in quotes that were never followed up. I had to examine a lot of data to get to that figure eventually. But if he’d been tracking it all along, I can guarantee you it would have been fixed a lot sooner. It might be a rude awakening, but by measuring your lost sales, and the reasons for losing them, you might be able to claw back a lot of revenue you might otherwise lose by implementing some process changes and establishing accountability. Give your sales reps measurable goals for customer interaction that they can work towards. Start measuring activity types to establish an idea of what good looks like for your business. The importance of being customer centric is continuing to grow, and more industries are seeing the value in updating their business processes and culture to put the customer at the core of their business – especially in their sales process. The journey towards customer-centricity takes time, and can be quite vague unless you establish measurable goals and expectations your staff can work towards. So how do you do it? What proportion of their time is being spent on calls, face-to-face meetings, or emails? Are they spending too much time on a particular account, and neglecting others? Are there key accounts that aren’t seeing any interaction at all? By having visibility over types of activities, you can potentially deduce a pattern for what seems to work for clients, and what doesn’t. 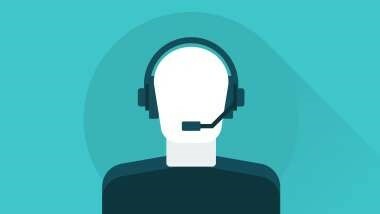 By setting an expectation of ‘what good customer service looks like’, your sales reps will be motivated to meet, and exceed, those expectations when dealing with prospects and clients. Measuring specific wholesale & distribution KPIs are great – as long as you have the infrastructure to actually measure them. Some of the best KPI tracking I’ve seen have not been by large, global firms. Instead, I’m proud to say that the best examples of KPI tracking (the kind that actually leads to results) I’ve seen are actually from a few of our customers using HARMONIQ Business Tuning System – and this could be you, too. HARMONiQ is powerful platform that includes accounting, operations, inventory, and Customer Relationship management (CRM). HARMONiQ’s advanced reporting functionality allows you to track lost revenue easily and efficiently with their ‘Lost Sales Analysis’ report. HARMONiQ’s customisable workflows and automation also makes it easy to combat lost sales by implementing an automated follow-up process for quotes. With integrations with Outlook and other third party applications, HARMONiQ can easily track and compile all interactions and activities and assign it automatically to the correct account, sales rep and branch – giving you visibility over your team, and also an easy way to measure your progress towards customer centricity.